Advancement of Technology has affected everything and everyone around us. Why not, education then! From computers to smartphones and their role in education, the journey has been very illuminating. Soon, mind hacking devices would be taking the position of our books and notebooks. No doubt, the human brain is also evolving and getting sharper day by day, the result of which is a 5-year old kid can operate smartphones. When it comes to education, India bags 92nd position among 145 countries. India must work on the rate and level of education provided to the preliminary and secondary schools. Moreover, it must ensure that every child gets education. However, now people are very much interested in getting their children educated as they have understood the importance of it. Let’s see, what changes have been made in conventional ways with the advancement of technology. It is common to have a large computer screen instead of whiteboard and tablets instead of notebooks to take down the notes. We are not totally there but we are walking towards it. This was from perspective of a developed city. If we talk about rural areas, it seems that they have just started the journey and have a long way to go. Many non-governmental organizations have been working to make new technologies accessible to the remote areas. One of the programs, Outside of the Box, joint- venture of Pratham and the Vodafone Foundation, is benefitting the modern technology to supplement the in-class experiences. They provide a WebBox consisting of a smartphone which enacts as keyboard, AV cables connecting TV and smartphone and a projector along with a 2G sim to provide Wireless internet. This program also provides training to the teachers which help them to assimilate technology in classrooms. This is not the only initiative taken by an NGO, Digital Education Program by Selco Foundation has also taken the responsibility of dispensing the education technology to classrooms. They have implanted solar powered computer labs in the areas prone to electricity issues. The NGO has taken the responsibility to eliminate the electricity issue not only from schools but also from children’s houses as well, the scheme Light for Education provides LED-powered study light to the students. Now, electricity is not an obstacle anymore, students can continue to study if even there is a major power failure with the help of the LED powered study light. Yet another innovation to help the kids to get familiar with the advanced technology, Experifun Learning Solutions. Under this program, advanced science gadgets like conductor-insulator kits, heat scales, micrometers, based on curriculum are developed and given for use in classrooms. Such initiatives are just a glimpse of what is yet to come! It is simply broadening the way to provide education to the students, rather than sticking to the conventional methods. 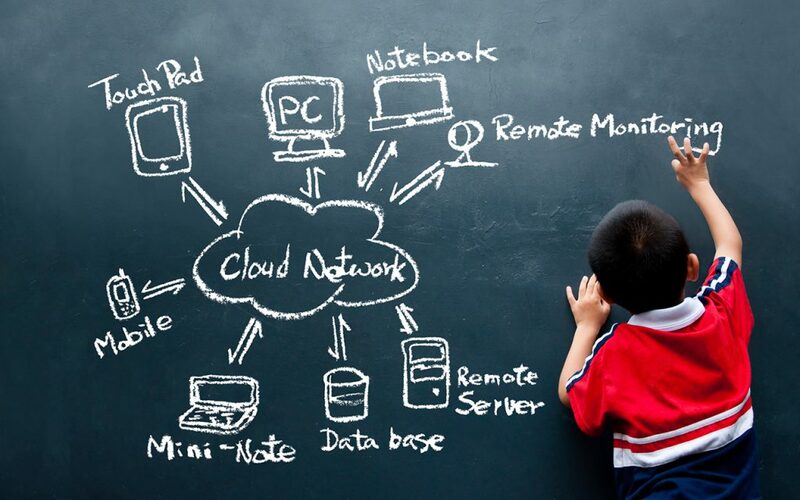 The use of modern technology along with hi-tech gadgets is to ensure that the children’s school time is influential. Children are the future of the country! This is also an influence of modern technology. No need to pay tuition money or go crazy in managing the school and tuitions classes. All you need is a smartphone and decent speed internet. This is the biggest relief for the children who take tuition classes and should run back and forth to attend them, resulting in wastage of time. Thanks to the technology and entrepreneurs who came up with the idea of releasing digital tutorials and applications. Under these educational models, students are the decision makers; they can choose what to study and when to study. They can scrutinize their strength and weakness and work towards it. These educational models like tutorials and apps are designed with original content, graphics and videos to explain concepts lucidly, making learning visual and effective. One of the famous education technology startups, Byju’s has been very helpful for the students, therefore has drawn immense attention. Byju Raveendran, founder of Byju’s stated “When we were conceptualizing (our Learning App) we realized it was easier to change the learning habit of students rather than the system itself. Basically, the product is made in such a way that they learn on their own”. This is the revolution needed to empower our educational system and make children’s future brighter. It would incite learning and make it more captivating. The format is easily adapted by the students and therefore, it is the future of education. Evolution of technology has a greater impact on developing the foundation of future India. Conventional methods of mugging up words & definitions and limited learning are not prevalent anymore. The hectic schedule and getting good grades should not be the perspective. The advent of technology has released the pressure imposed on children’s brain and has encouraged them to incline towards learning and become life-long leaners. Well, it is just a start, there is more to it. mobile applications, online tutorials and content are available to facilitate the children’s learning process. So, every child can take his/her own sweet time to learn and develop the skills. After smartphones, AR and VR technologies would be expected to provide more fun and experimental methods of indulging children in learning. Young India with unbounded potential to unleash!